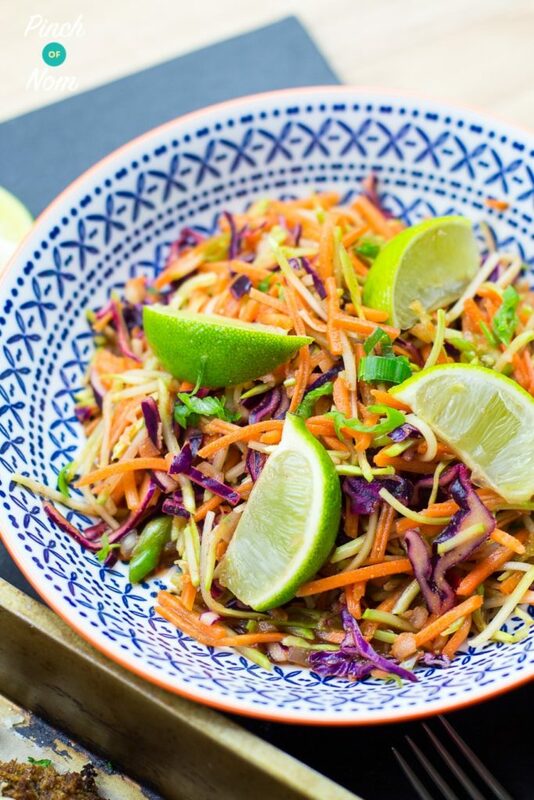 This Coleslaw recipe is lower in calories, Syns and Points than the full fat version, but still has all the delicious flavour and texture you love! Coleslaw is a classic side dish to accompany salads, jacket potatoes, barbecues and of course our Low Syn KFC Fakeaway. But, as with many of our favourite things it’s pretty high in calories, Syns and Points. So why not make your own? 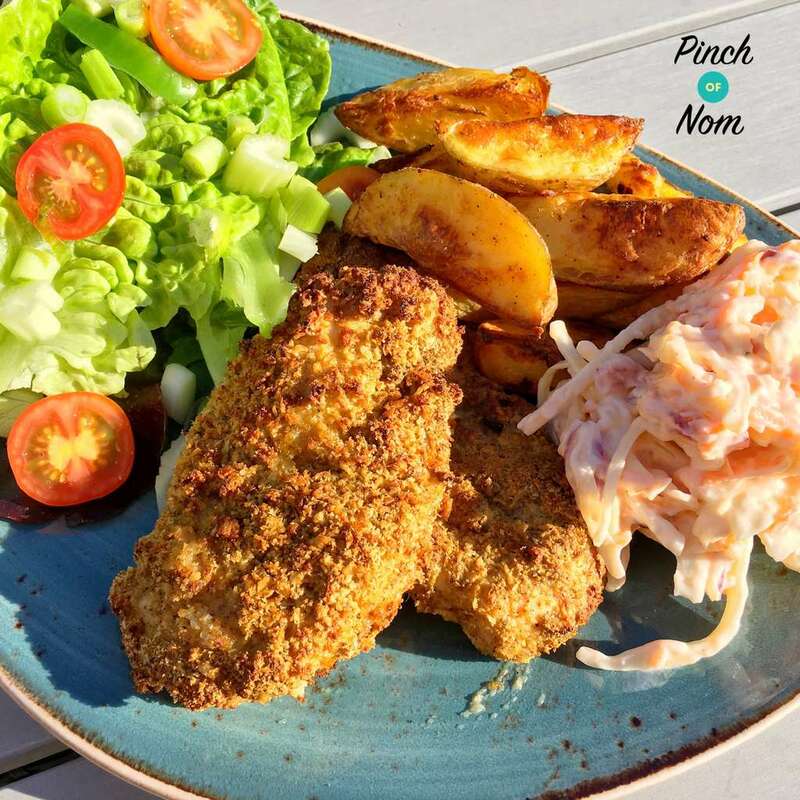 Our Low Syn KFC Fakeaway is the perfect Slimming World alternative to going to a KFC outlet! This recipe couldn’t be simpler. It takes 15 minutes at most, and you may have all the ingredients to hand! If you’re feeling daring you could even try a few variations. 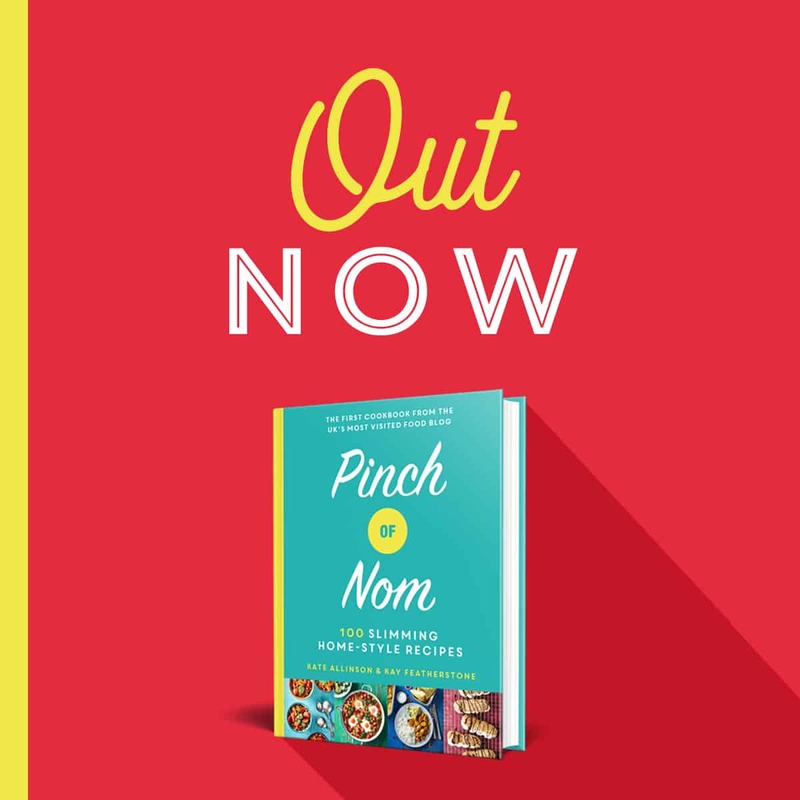 Why not try adding some prawns, Jalapenos, curry powder or some grated reduced fat cheddar (but don’t forget to add on the calories, Syns or Points!) These variations are great on a jacket potato! This recipe makes a big batch of coleslaw, perfect for buffets and barbecues. If you want to make less you can alter the number of servings on the recipe card at the bottom of the page. Just change the number of portions and it will recalculate the ingredient amounts for you! Love this Coleslaw recipe? Tag us! One of our Instagram followers @diana_swjourney made this dish and loved it! What do I need to make this Coleslaw recipe? This is a super simple recipe, but there are some kitchen tools that could really speed up the preparation process for you! To make this Coleslaw recipe we used a Julienne Peeler. 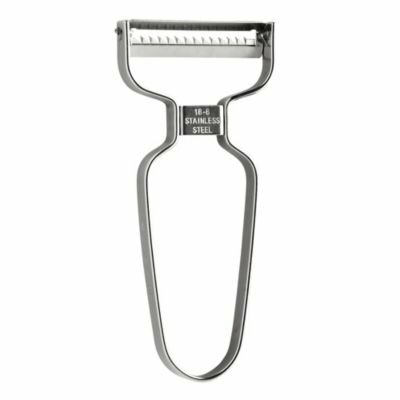 It’s cheaper and easier to use than a mandolin (a cutting device used to thinly slice foods) and makes light work vegetable cutting! You can pick one up on Amazon here. You may also want to pick up a pair of Salad Hands. These make mixing and serving coleslaw and salads a breeze, plus they look awesome! Grab some on Amazon here. 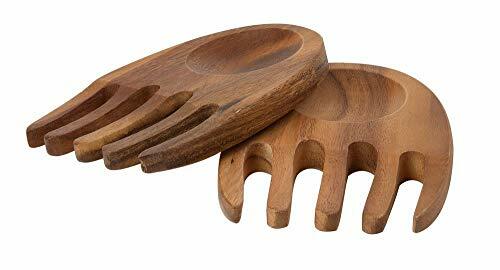 These tools would also be great for making our Syn Free Mexican Slaw! How many calories is this Coleslaw recipe? There are 45 calories in a portion of this coleslaw, and they are generous portions! 100g of the shop bought, full fat version can set you back 231 calories and 21g of fat. This makes our version an AMAZING swap for your waistline! 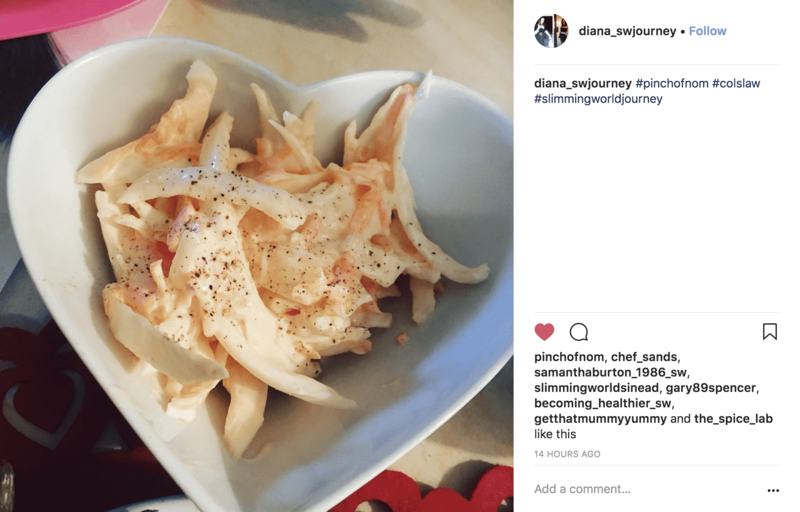 How Slimming World Friendly is this Coleslaw recipe? 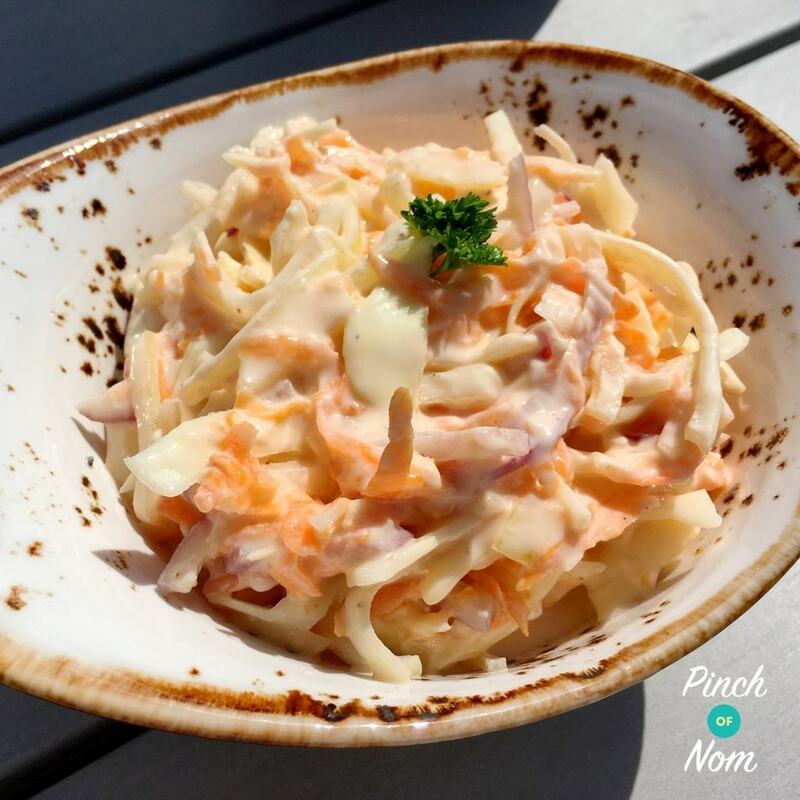 This Coleslaw recipe is completely Syn Free on Slimming World! You can load up your plate totally guilt free, knowing that you are packing in delicious Speed Foods. How Weight Watchers Friendly is this Coleslaw recipe? This Coleslaw recipe is zero Points for Weight Watchers followers! 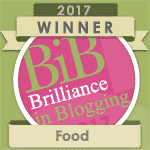 This is great news and means you can fill up at your next BBQ totally guilt free. How do I make this Coleslaw recipe? Mix the cabbage, onion and carrots together. In another bowl mix together the Yogurt, Quark, Mustard Powder, Lemon Juice . Beat well to remove any lumps. Combine the veg mix and the yogurt mix, then season with salt and pepper to taste. Can I freeze this Coleslaw recipe? This recipe isn’t suitable for freezing, but it will keep for 2-3 days in the fridge. Why not check out our other summer recipes? Can you freeze this? I’m not sure I would eat it all in 2 days! Made this to accompany Beef kofta wraps, went down well with my wife, she loves slaw….Thanks for the recipe, keep up the fabulous work..!! I live in France and cannot get Quark. What can I use instead, please? A quick google search has raised a couple of possibilities – Fromage blanc or ‘Faisselle’ is apparently an alternative available ‘en France’. I also saw someone mention Carrefour’s own 0% Fromage blanc. Hope that helps! Hi, can you suggest dairy free subs please? Hi I don’t like yoghurt, can I use all quark by any chance. Yes you can, it may be a little thick though so just loosen it with a tiny drop of milk or water. I think I must be doing something wrong, it tastes very bitter, any ideas? Thanks, love pon btw! Can you make with lighter then light mayo instead of yoghurt please? Do you have to use quark , I’ve got all the other ingredients and want to make it now ? You can substitute those ingredients with dairy free alternatives, but you’ll need to check Syn values accordingly. We’ve all done that! I misread the amount of baking powder in a recipe once, adding 2 tablespoons instead of 2 teaspoons….with predictably disastrous consequences! Glad you enjoyed it! Could this taste nice if using purple cabbage instead? Great feature that you can click to adjust the servings-I usually do it in my head but this saves me that trouble too-I didn’t even know that was possible-thanks! Will make it for tonight. I struggled with making this as it seemed to separate and was very liquidy, am I doing something wrong with the vegetables beforehand? should they be dried out first? Hi. 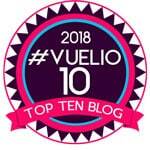 I live in Spain. Cant get quark. Could you use anything else please? Thank you very much. Apparently there’s something called Queso Fresco, which sounds as though it’s similar. Hope that helps.